An American based study indicates that the risk of long-term loss of healthy red blood cells, otherwise known as anemia, may be associated with weight loss surgeries. Have you been considering a weight reduction surgery? Here's a piece of information that you might be interested in. An American based study indicates that the risk of long-term loss of healthy red blood cells, otherwise known as anemia, may be associated with weight loss surgeries. In the study, published in the journal JAMA Surgery, people who got a common form of weight-loss (bariatric) surgery, faced symptoms of anemia later. Anemia rates were found to be on a higher side 10 years after the surgery, noted the researchers. Scientists who reviewed the study explained that anemia is a common problem in patients who have undergone gastric bypass, and the severity of problem may increase in patients who don't receive adequate treatment, adding to certain side effects of the surgery such as vitamin and mineral deficiency. For the study, the team tracked outcomes for 74 older male veterans, with the average age of 51, who underwent a common type of weight-loss surgery called Roux-en-Y gastric bypass. The findings revealed that the overall rate of anemia before the surgery was 20 percent. The team further noted that 10 years after surgery that number had risen to 47 percent. The study also finds that anemia was much more common among patients who did not have close follow-up care with a weight-loss surgeon. For such patients, who discontinued their follow up care, anemia rates rose from 22 percent before surgery to 57 percent a decade later. 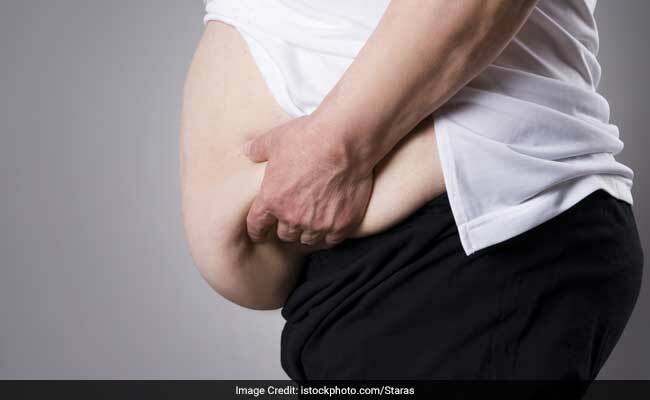 The scientists noted that while bariatric surgery may help curb obesity, but patients should not believe that they are cured and must continue to follow medical direction for the duration of their life. Obesity is a disorder involving excessive body fat that increases the risk of health problems. Obesity is often tied to health problems such as heart disease and diabetes. Here are some suggestions to control excess weight gain. 1.Eat more whole grains: Whole grains provide energy and are also full of essential nutrients. Stock up on whole grains like Bajra, Ragi, Maize and Jowar and use them often. Try red, black and brown rice instead of refined white rice. 2.Keep trans fats away: Industrial trans fats may be present in fast foods, snack foods, cookies, margarine and spreads. Read the labels and find better substitutes. 3.Do not skip meals: Yes, as counter-intutive as it may sound, but it is essential to keep your diet in place to maintain healthy weight. Eat three balanced meals. Take a standard dinner plate, fill with vegetables, 1/3rd with cereal, 1/3rd with the protein and add 150 ml of milk or dahi. 4. Apples can help: Apples contain pectin, a type of fiber that keeps you feeling fuller for longer. Apples can be great mid-meal snacks. 5. Load up on strawberries: Strawberries are extremely low in calories and pack heaps of antioxidants and Vitamin C. An entire cup of strawberries barely contains 50 calories! These simple diet tweaks will not only help you lose weight but also maintain it.